"Every now and then I am asked for my thoughts on how to get started as a designer or illustrator. When I’m asked these sort of questions, I’m never quite sure how to answer. Beginning a career, discovering a path, building a freelance practice can get ugly—it’s by no means a simple progression." Tools of the Trade is a personal series built around what I've learned as a freelance illustrator. 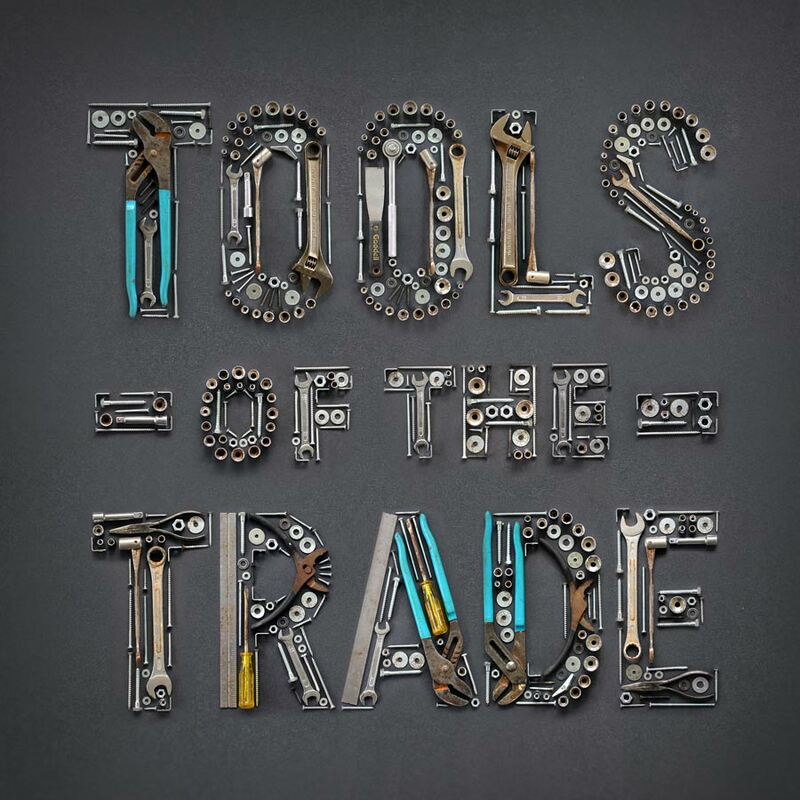 Each of the 4 tool typography compositions accompanied a blog post about the joys and struggles of developing a creative career, and freelancing in particular. The blog posts also contain in-progress shots and insight into the process behind the pieces.